“Choose a Champion” is a new program at Rawsonville Elementary, and kids are excited about it! On one Friday a month, students are able to participate in a session of their choosing and immerse themselves in learning in an area that is of interest to them. With over 25 sessions to choose from, and topics like cooking, running, strength training, crafts, STEAM, and ballet, students have the opportunity to explore something that may become a passion for them. 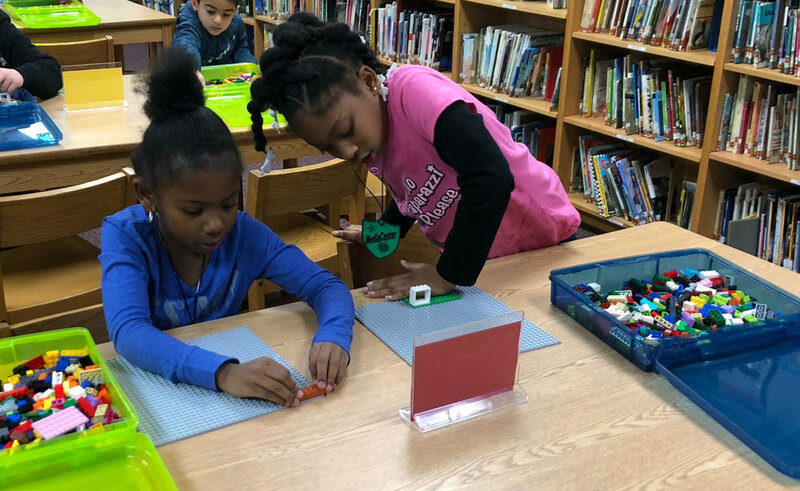 As principal Tracy Bryant explains it, not only do students and adults get to develop shared interests, but students also develop relationships with other adults in the building that can be advocates and mentors for them. Ms. Binert's group class gives a thumbs up to Choose a Champion! Students practicing the basics of ping-pong with Ms. Jackson and guest. Ms. Thompson and her student group are enjoying their STEAM experiment!